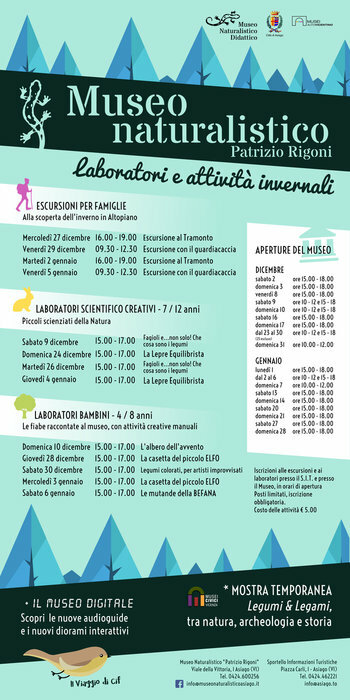 The naturalistic Museum "Patrizio Rigoni" of Asiago arranges for the Christmas period a series of workshops and winter activities for children and their families. A fun way for kids to see and learn new things! Registration for excursions and workshops at the SIT and at the Museum, in hours of operation.